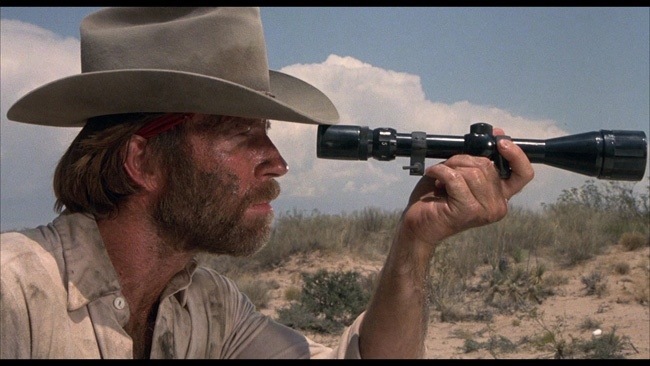 Released in 1983 Lone Wolf McQuade carries a PG rating, but don’t let that turn you off to the film as it features plenty of action from gun battles to explosions and hand to hand combat and it very much feels like an R-rated movie. Back in the 80s the MPAA was quite odd with their ratings. Horror films seemed to get it the worst as many were heavily edited and when we finally saw them uncut they weren’t nearly as graphic as films from the same time with an R-rating. 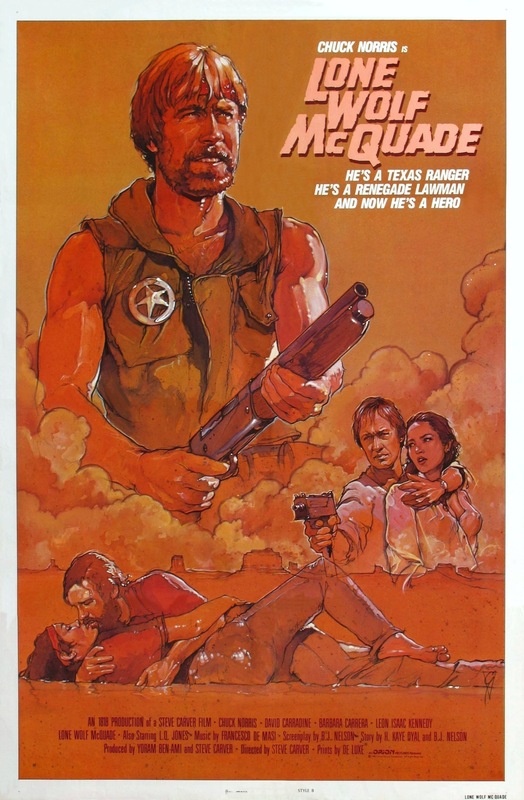 Lone Wolf McQuade isn’t exactly graphic, but there is again enough going in to warrant an R-rating, which it originally was, but was lowered to PG. I guess with Chuck Norris highly popular at the time it helped the rating. 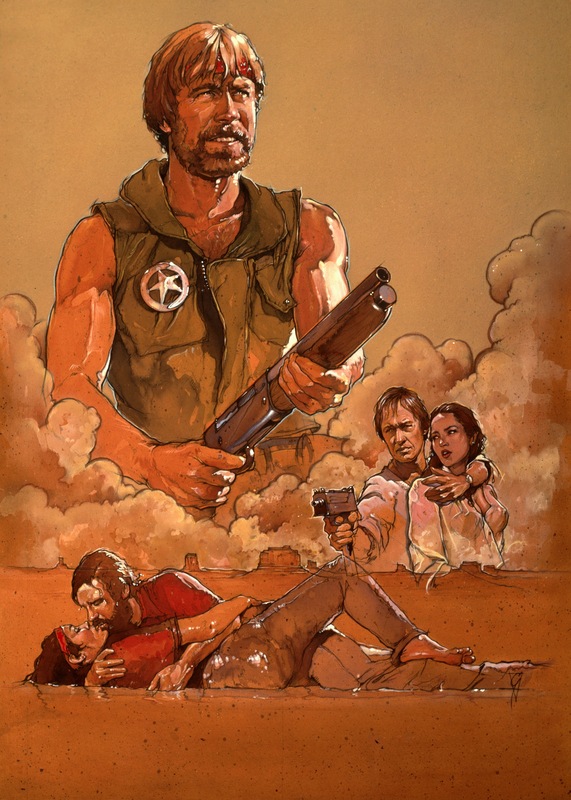 But point is don’t let the rating fool as Lone Wolf McQuade is quite heavy on the action. I don’t think this film will ever go down as one of the greatest action films of all time, but who really cares? The goal was to entertain and Lone Wolf McQuade may not be the greatest action film, but it never fails to entertain. A solid cast and action scenes help make this a fun film despite any flaws. 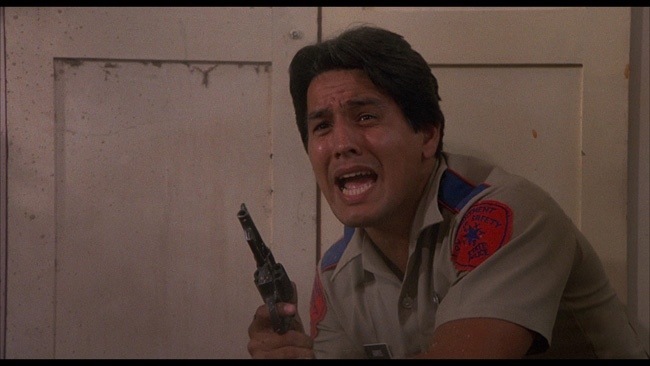 The 80s were such a fun time in cinema in particular horror and action films and Lone Wolf McQuade is pretty much the standard 80s action film and that isn’t a bad thing. The screenplay by B.J. 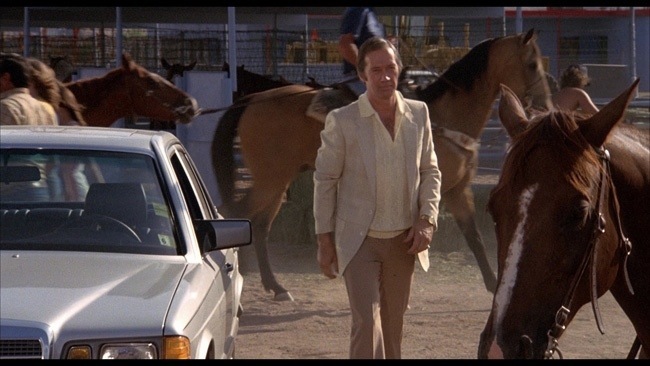 Nelson is light on plot as it deals Texas Ranger J.J. McQuade (Norris) who attempts to take down Rawley Wilkes (Carradine) who is a drug smuggler and has taken McQuade’s daughter hostage. While the plot is light and its quite easy to forget just what the film is all about, but character wise the script works well. While they lack depth the main characters are likable and overall the script while not great or anything is good enough and gets the job done. Director Steve Carver crafts a highly enjoyable film with some solid action scenes. Pacing is fairly strong though towards the final act before the final showdown things do get a little sluggish but never boring. While the film could have lost a few minutes its generally well paced. Really at the end of the day, Carver may not make an action classic, but he does craft a film that delivers on the fun factor. Lone Wolf McQuade has an excellent cast, which helps elevate the film. 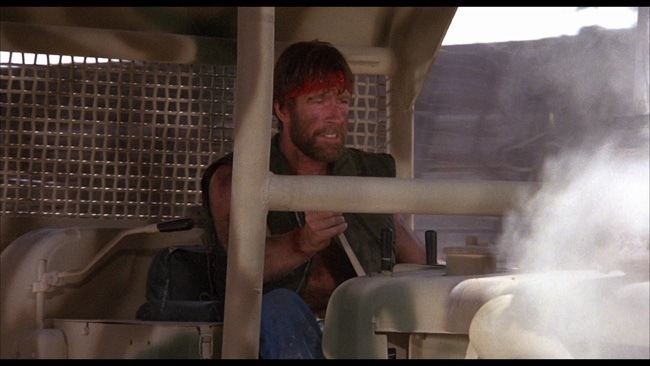 Norris is excellent as the no nonsense tough guy McQuade. 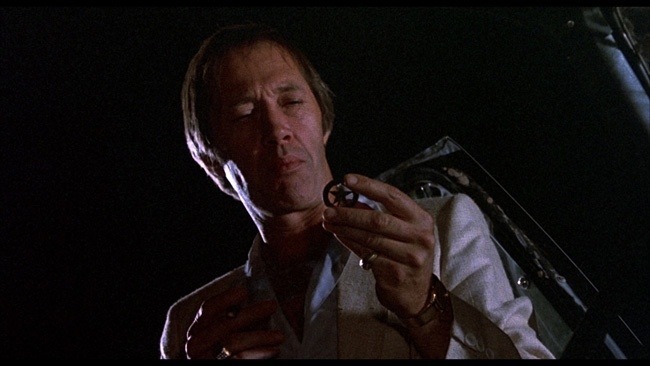 David Carradine is also very good, but a bit underused. Leon Isaac Kennedy best known to cult fans from the blaxploitation films Penitentiary also appears as does R.G. Armstrong in a bit role. Horror fans may wanna take notice as Kane Hodder appears in a couple of brief scenes in an uncredited role as one of Carradine’s henchman and Dana Kimmell best known to horror fans as Chris in Friday the 13th Part 3 has a supporting role as Sally McQuade. 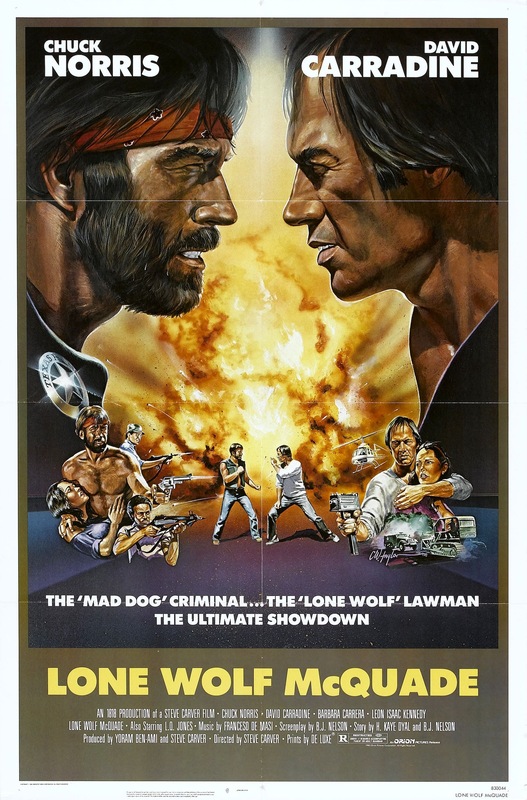 Overall Lone Wolf McQuade is simply a fun film that is pretty much a buildup to the showdown between Norris and Carradine. There really isn’t anything here that really sticks out, but at the end of the day Lone Wolf McQuade is simply a fun film.